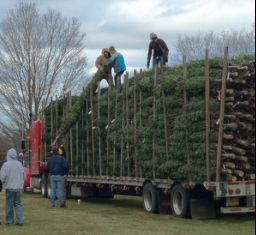 The Christmas Tree Lot is Troop 17's largest fundraiser of the year. The funds raised during this fundraiser help to provide the program for the Troop throughout the year. Courts of honor (& all those awards that go with it), camping trips, gear, youth training & a whole host of other things (including the discount that we have traditionally enjoyed for Summer camp), all rely on this fundraiser. We do hope that you all will help out in any way that you can to make the Tree Lot sales as successful as possible.